The wood was sourced from the flooring of the High Table platform in the Great Hall, which was a location where several scenes from the Harry Potter series of films were shot. 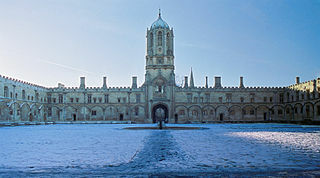 Christ Church College is one of the largest Oxford University colleges, and was founded by Cardinal Thomas Woolsey in the early 16th century. It has been an educational institution for over 500 hundred years. One of the College’s most famous students was a mathematician named Charles Dodgson. You might know him by his pen name - Lewis Carroll, author of Alice in Wonderland. It’s also where Sir Christopher Wren, William Penn and a score of British prime ministers were educated. And of course, Harry, Hermoine, Ron and the rest of the Hogwarts students!